MOTIONrehab offers its clients the opportunity to work with a multi-disciplinary team (MDT) of therapists. 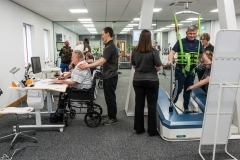 This includes Neurological Occupational Therapists for the treatment of neurological injuries or illnesses such as stroke, Multiple Sclerosis, head injuries, Parkinson’s Disease and other neurological conditions that cause damage to the nerve pathways connecting your brain to the rest of your body. This can affect the ability to move the body and results in difficulties with mobility, day-to-day function, independence and confidence. 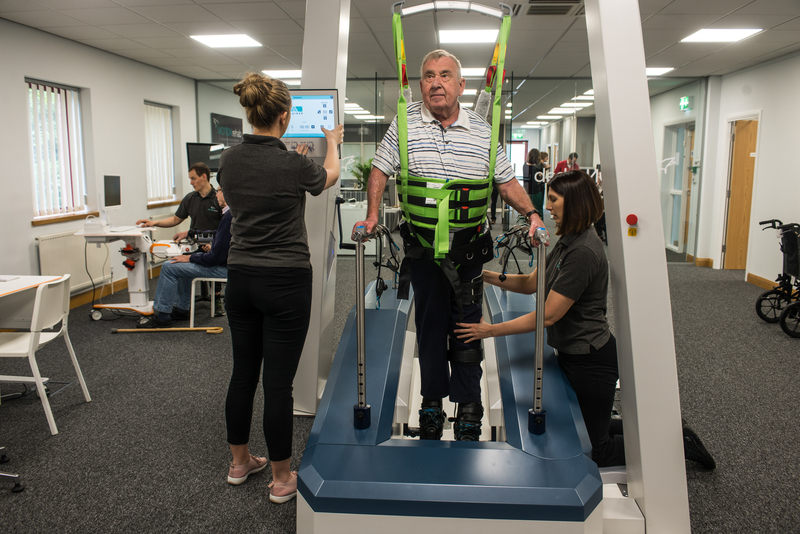 MOTIONrehab Occupational Therapists take a client-centred approach to considering the full effects of an illness or injury on a person’s ability to carry out day to day activities that are meaningful to them. Occupational Therapy facilitates the recovery of life skills, developing new ways of achieving independence in everyday activities. The focus of occupational therapy is determined by the activities that are the most important to the individual and their sense of identity. This may include: completing selfcare tasks, taking part in leisure and social opportunities, accessing the community, obtaining or retaining employment. 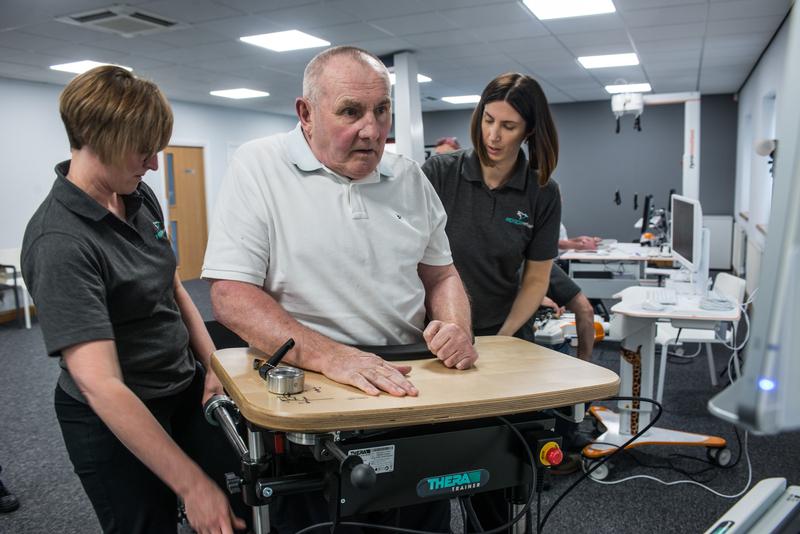 Within the specialist setting of Neurological Rehabilitation, Occupational Therapy looks at practical tasks and the activities that individuals may find difficult whilst considering changes that may have occurred due to the neurological illness or injury. This can include: physical abilities, posture, vision, thinking skills, fatigue, mood, behaviour, interactions with others and ways of functioning in various environments. 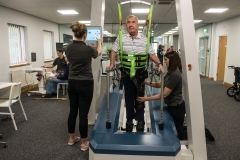 At the MOTIONrehab clinic Intensive Neurological Rehabilitation Centre in Leeds, clients have access to an Occupational Therapist as part the MDT team. 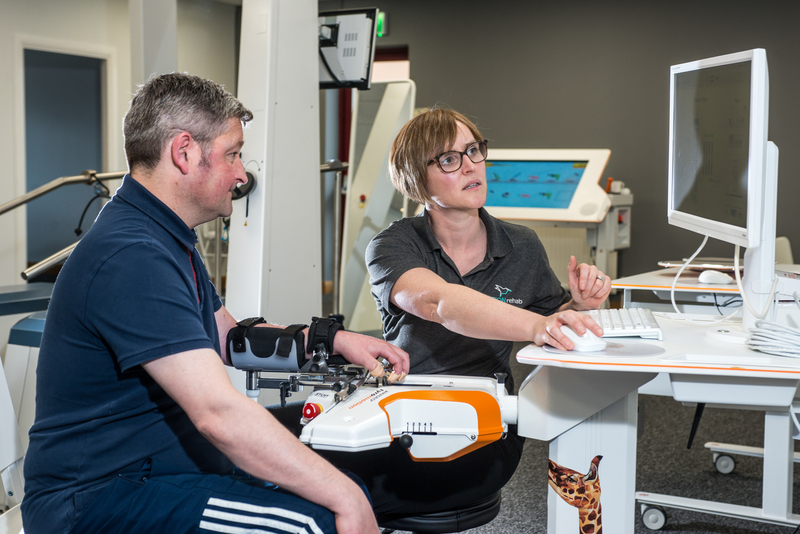 The team will work collaboratively together to develop bespoke treatment plans tailored to your chosen goals. 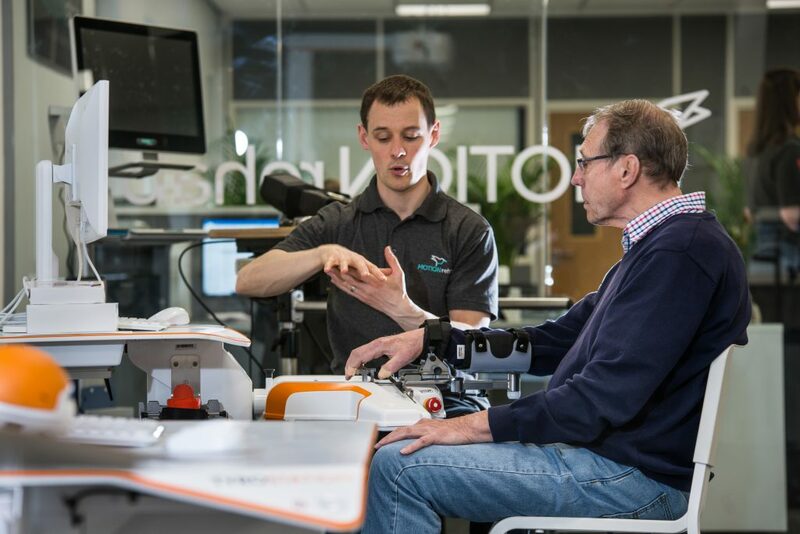 Therapy sessions are a combination of traditional approaches complimented by the use of state of the art robotics and virtual reality equipment. This combined treatment approach is designed to facilitate high repetitions of movement to promote relearning called neuro-plasticity. 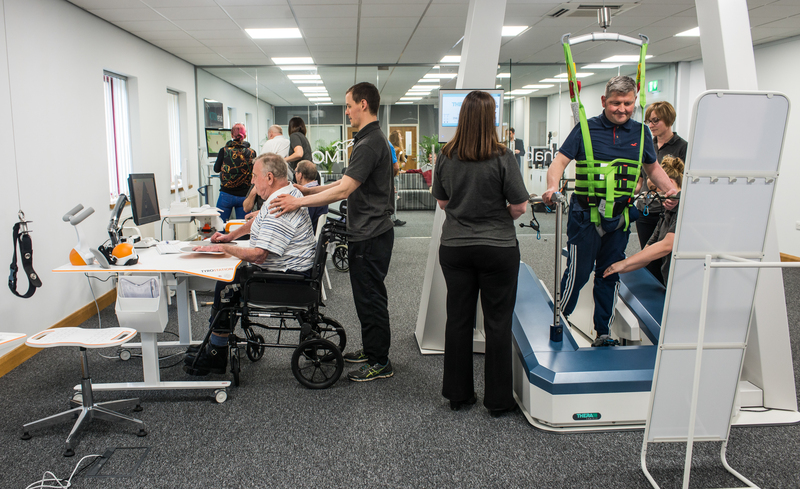 MOTIONrehab Occupational Therapists oversee the implementation of the newly acquired skills into everyday life. 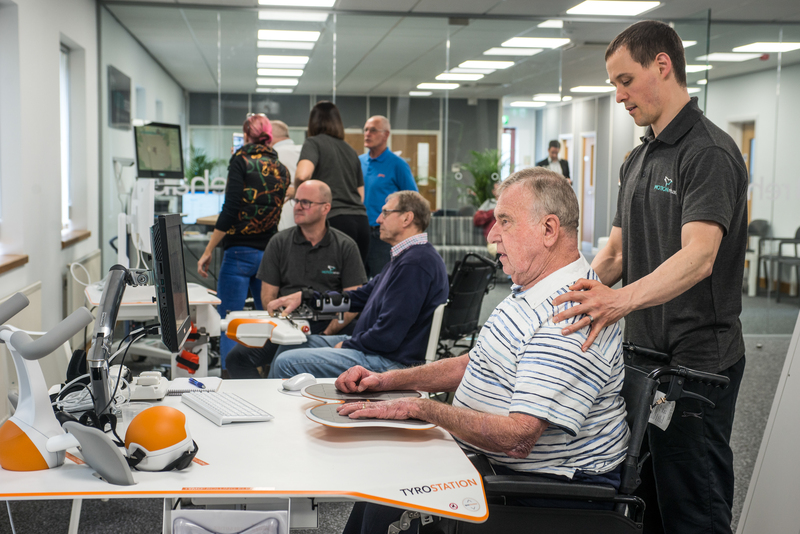 This ensures individual feels confident and are able to achieve their optimal level of independence.